Android fans have been waiting for this moment for nearly half a year now. But it’s finally here, Google’s spankin new OS; Android 4.0 or Ice Cream Sandwich, whatever you want to call it. It brings a truck load of new features and it’s impossible to go through them all so lets have a look at some of the 5 more ‘in your face’ changes. This has always been Android’s forte, and it has gotten better with ICS. Previously when you wanted to access notifications you had to unlock the device, a minor inconvenience, but an inconvenience none the less. With Android 4.0 you can now access notifications right from the lock screen, shaving off those few milliseconds we wasted before. 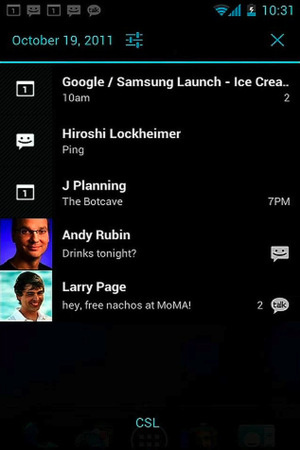 The notification menu has gotten a minor facelift with contact pictures also displayed. You can also swipe individual notifications to clear them. The gmail has also meen modified a tad for a high res screen. 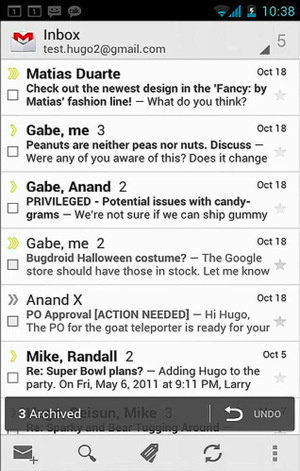 You can see two lined previews of all emails and the app has a generally cleaner look now. And when you’re reading a message, simply swipe across the screen to get to the next one. There’s also a new menu bar at the bottom on the main screen for new mail, search, refresh etc. It’s finally built into the OS. A very sleek, yet very functional way to keep your data usage in check. You can set the phone to automatically disable data when you’ve reached a specified limit. 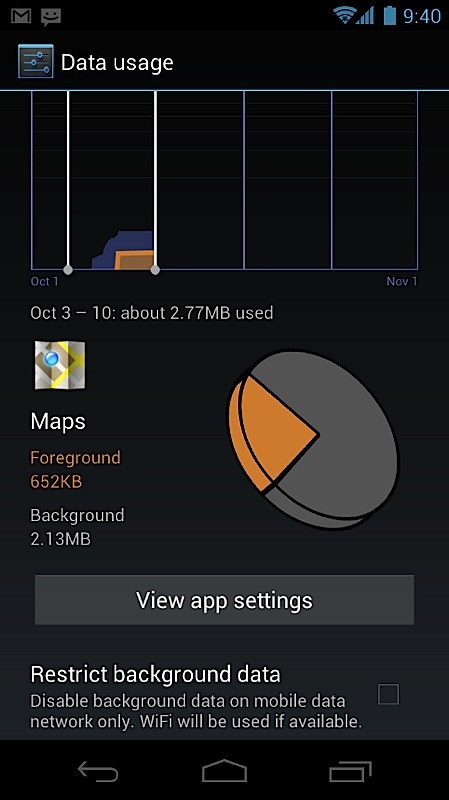 It also shows data usage by each application. In addition to this you can also view data usage for each day, and what application used how much data for that day. While I haven’t tried all data monitoring apps in the market, I can assure you something like this wouldn’t have come cheap otherwise. Plus nothing beats something thats integrated into the OS. 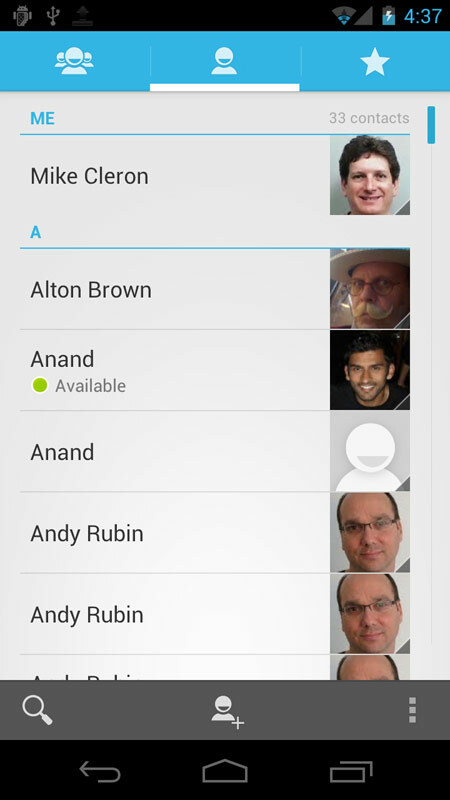 The contacts, or people app too has gotten a facelift. Not much change in terms of functionality, but this app on Gingerbread was one ugly mess. So it’s certainly nice to see it getting some much needed attention. You can now set high res images for each contact, and when you get a call, you’ll see a full image rather than a small thumbnail. Forget passwords, forget special key strokes. 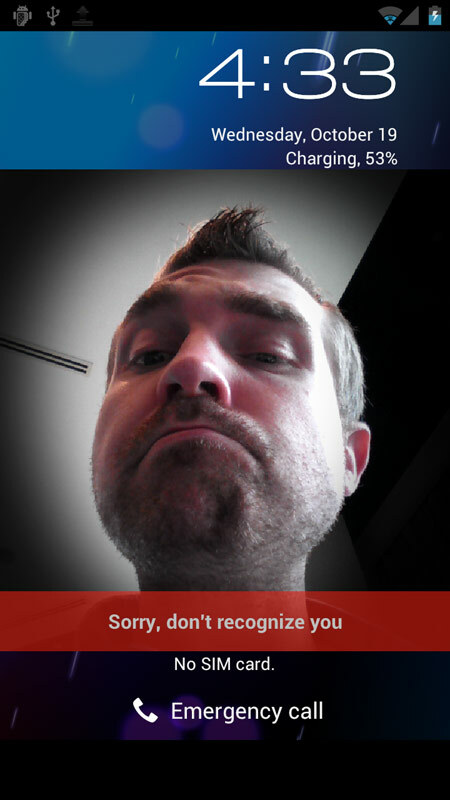 The phone will detect your face to unlock your phone. Just be sure to not pass around your pictures to everyone.